This Lent, we are going the 'extra mile' to walk to Jerusalem with acts of kindness. As a parish we have mapped out a Christian Pilgrimage route for us to follow, stopping at significant destinations. 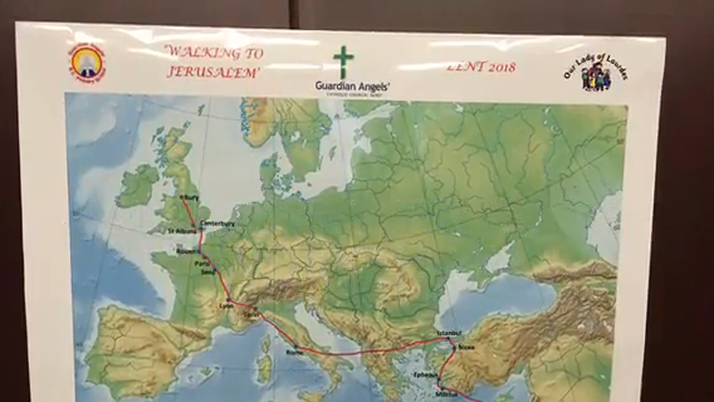 Together with the parish of Guardian Angels and Our Lady of Good Counsel, Guardian Angels and Our Lady of Lourdes primary schools have created some information videos about the different places on our journey. On the 8th February, Parishioners and children joined together to research different places of pilgrimage on our route to Jerusalem.